The Gutenberg drama started on June 22nd. On that day, the Gutenberg Team released the Gutenberg plugin in beta for testing. The drama is not over yet, but we are confident it will be soon enough. I first heard Matt Mullenweg talk about the need for a new editor in December 2016, during the State of the Word 2016. After that, I read about the project at the beginning of this year, when I stumbled upon this post by Matt on make.wordpress.org/design/. However, he had already started talking about content block editing a long time ago. In fact, over 3 years ago, he showed few slides about this plugin during a previous State of the Word. At the very beginning of January, Matt assigned the editor project to Matias Ventura and Joen Asmussen. Respectively as tech lead and design lead. Joen, who is a design Wrangler at Automattic, was already involved in the development of the experimental Content Blocks plugin. Few days later, Joen started the conversation about what makes a great editor. The conversation went on with a second post about the new block based editor. At the beginning of February we saw the 1st post about the initial editor blocks prototype editor testing. Followed few other posts about results of users testing. Like this one, or this one with more details here. We are at the end of April, less than 2 months away from the 1st beta release. Some got involved in testing and reported their feedback. However not that many compared to the massive users base WordPress has. Other like us just lurked. Up to that moment, 100% of the feedback in comments and blog posts about this project were on the positive side. Nobody expressed any harsh critics or asked to kill the project. I believe because everyone felt involved. The only person who shared a little concern, speaking on behalf of Theme (and plugin) developers is Ahmad Awais. He suggested to make the process as transparent as possible, to make sure the community would know what to expect from this new editor. His message was very important to me and in my opinion, it didn’t receive all the attention it deserved. June 22nd finally comes and the Gutenberg team released the plugin in beta. The shitshow begins. While for the first 6 months the project received mostly positive feedback and everybody welcomed it with enthusiasm, things drastically changed. Several negative reviews and blog posts started to appear. There were some constructive and positive comments too. However the overall judgement about the project had flipped from mostly positive to radically negative. A lot of users who installed and tested Gutenberg, were less than happy. They expressed their disappointment about it in the wordpress.org plugin directory too. over 60% of the reviews are extremely negative. Less than 25% of reviews are very good. 2) It doesn’t really help creating content or provide a better user experience. 3) It isn’t backward compatible. 4) Because currently it doesn’t handle metaboxes, it will break countless themes and plugins. 5) It should remain a plugin for whoever wants it. It doesn’t matter that the Gutenberg Team has been extremely receptive to feedback and suggestions. That they keep releasing new features to fix whatever the community expressed concerned for. That they assured it will not make into core until is ready and even then, users will be able to disable it. A lot of people keep referring to Gutenberg as something unwanted. Personally I’ve never seen a free plugin built by reputable developers getting that many negative reviews in such a short period of time. How could this happen? How could the consensus switch so abruptly? A similar situation happened when the plugin repository was re-designed. Not too many people contributed to the initial design and prototype. The beta version was available for testing for several months, however users provided feedback in limited amount. When they finally made the new design public, a lot of negative feedback started coming from all directions and in particular from users of the Advance WordPress Group on Facebook. The community got so vocal, that whoever had worked on the re-design had to make the changes requested. How to avoid this in the future? Getting out of the echo chamber! The number of people that contribute and participate on the make.wordpress.org website is limited. Even if they reach an agreement, the rest of the community will perceive that as the opinion of a small group of people. Not as large consensus. It’s highly probable that they’ll become hostile to the change, because they felt excluded from the decision making process. The argument : “if they don’t want to feel excluded, they should participate” is shortsighted to say the least. Unless you enjoy doing the job, only to change most of it after you start getting feedback, you should do an extra effort to get more feedback before starting to develop. The website make.wordpress.org is a bit intimidating to me. It could be the same for many others. Established contributors form a community that doesn’t appear to be “very inclusive”. It is very unlikely that someone will provide valuable feedback when feeling intimidated. For example, when we ask for feedback through the Advance WordPress Group on Facebook, people are a lot less shy and tend to express their opinions freely. The ThemeForest forums are very active and mainly populated by Theme designers/developers and more generally, WordPress users. All people that would have probably loved to express their opinion, if asked. There are plenty of other places where feedback could be gathered and I think this is what Ahmad Awais was trying to convey. I am still making up my mind with how Gutenberg will fit in the WordPress core. There are so many things which are both good and bad about it. So, instead of ranting about it, I wanted to do something more productive. And I went ahead, studied the source code, received a lot of help from Gutenberg contributors, to finally build a Gutenberg Boilerplate project. We need to change people’s perception and convince them that Gutenberg will bring positive changes. Aristotle used to say: “Patience is bitter, but its fruit is sweet”. The Gutenberg team is doing such a great job that I think they’ll win over the majority of users before the official release. Gutenberg, while not perfect, is already a lot better than the old editor. Just think about this: if a user wanted to split some text in 2 columns before, you had to give him HTML and CSS. With Gutenberg they’ll be able to do that by themselves and this is just a tiny example. Copy and paste from Word or Google Docs is not only possible, but it works like a charm Please stop saying that it doesn’t work! You can move from Visual to Text editor like before and Gutenberg outputs very clean HTML. If you test the plugin today, you’ll notice that most of the point raised in negative reviews have already been fixed. The Gutenberg team promised that WordPress 5.0 will not be released until Gutenberg is ready. Metaboxes won’t be ignored, developers are working on finding a solution for metaboxes. There will still be an option to disable the whole thing if it’s really not needed! In the next post we will share our future plans for the Gutenberg editor. Especially how we intend to integrate our plugins with it. What do you think about the Gutenberg plugin and the Drama generated by its beta release? Let us know in the comments down below! Well, you missed out an important part of the discussion here. First of all, most critics do accept the change and the new editor itself. However, they have different concerns, and most of them are coming from a single point – the forces behind the change and the way the decision was made and enforced. Basically, the OSS project was hijacked by one particular business making money off of the platform – Automattic. They made a decision that this particular editor, in this particular shape and color makes sense for *their* platform (.com) to combat *their* competition. Matt hijacked the process by assigning himself as a project lead, assigned Automatticians to do the job and just told everyone else – hey, it’s happening, whether you like it or not. There were no public requirements analysis, no research, no clear roadmap, no clear plans on backwards compatibility and feature roll-out etc etc etc. Even decision to use React was made because that’s what Matt’s team knows and uses. It’s not about licensing, it’s about simply assigning particular people who know this particular framework. And many other issues evolve from this very point. That’s what most of the critics are concerned about. If that happened once, it may (and will) happen in future. That means WordPress is not a community project anymore, it’s a software developed for Automattic and .com, by Automattic itself and using a lot of free workforce by telling people they’re working for everyone’s good (they not). This is the main concern. The editor itself is fine. All issues that it has today can (and will) be resolved. The problem lies in a different plane. And calling these concerns “drama” is just shutting people down, ridiculing their concerns. That’s gross. I’m sorry to disagree, but that is not true. The most common feedback from critics is that they dislike the editor (horrible UI/UX, too many clicks, all white, no metaboxes etc) compared to the classic editor and that Gutenberg should remain a plugin. In addition, the vast majority of critics, unlike you, are users who never contributed 1 minute of their time to the WordPress project. They only took advantage of it for their own businesses. That’s what I refer to as drama. People like you, who question the imposition of both Gutenberg and React are a minority, who are definitely entitled to share their concerns, but you are still a minority. As far as considering WordPress some sort of communist project where everyone should have a saying before things are dealt with, in my opinion it is a limited vision of what OSS is all about. Things wouldn’t move fast enough to keep up with the market evolution. This particular OSS project, was started by the person who took the decision to change the editor. He is also the founder of the WordPress foundation and the CEO of the company that contributed most man hours to the WordPress project in general (not just wordpress.com or Gutenberg). I personally believe he’s entitled to do what he did, because if I was in his shoes, I’d have probably done the same. Thanks for writing this. I agree with you that no other free plugin has gotten this type of negativity ever. While some concerns are valid but overall the magnitude negativity is just not deserved. 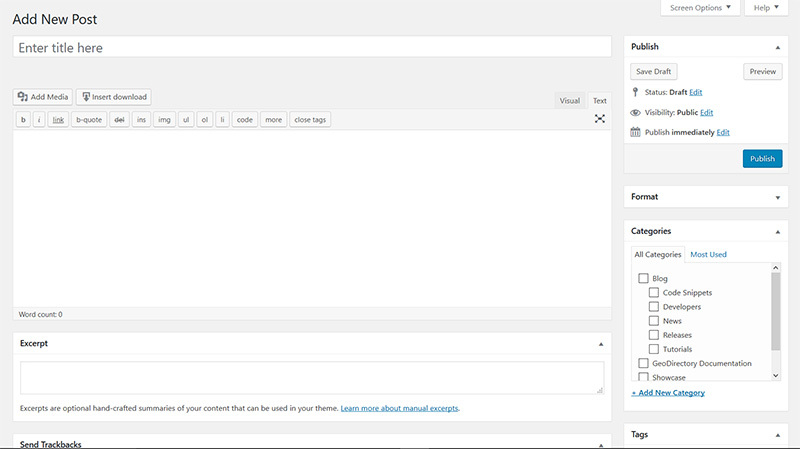 WordPress needs to evolve to be more user friendly. Matts believes it needs to rival the ease of use of Wix like services. May be some developers think that this will reduce their income but I think it won’t. Because clients are people who can pay money to buy services of these developers. They don’t have the time to do things themselves no matter how easy they are. Free users don’t have the money or requirement to hire paid help. I hope developers see this progress positively. Thanks for your comment Richard and sorry for missing it! I totally agree with you and I actually think Gutenberg will open new ways to make more money with existing clients for smart developers. Also: “disable the whole thing if it’s really not needed” is not going to be an option for most of my sites. Just think about it: I’ll have a few meta boxes here and there, one for a few pieces of meta content for the homepage and another for a custom post type of some sort, displaying a Google map and having users selecting an address. Etc. But the website also uses the WordPress SEO plugin, or WooCommerce, etc. At some point, maybe even when Gutenberg is released, one of these plugins is updated to make use of Gutenberg. But my own or third party plugin code for the meta boxes rely one the “old” system. Now what? Enabling Gutenberg breaks this code, disabling Gutenberg breaks some other code. That would be true only if Gutenberg would be pushed into core without having fully addressed the Metaboxes issues. Because I’m confident this won’t happen, the argument to me is flawed from the start. In any case, plugins developers should ideally make their changes backward compatible at least for few version of WP (that’s what we’ll probably do). 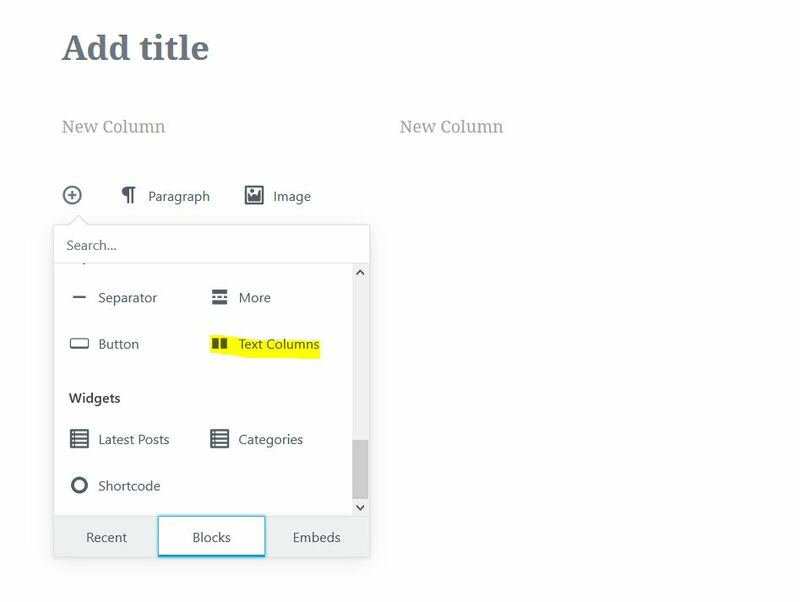 You’ll still have the option to fix your custom metaboxes to work with Gutenberg and/or avoid updating to 5.0 till you feel comfortable. You’d have plenty of options even in the worst case scenario. I don’t see that as problem at all. Thanks for writing this Paolo. The development of gutenberg is happening at a fast pace while two important issues (React and Metaboxes concerns) are yet to be addressed. This could indirectly mean it’s been addressed internally and only an official announcement to inform us of a long-made decision. Thanks for your comment Collins! IMHO the React Licensing issue has been address enough and this FAQ from Facebook should have cleared the air https://code.facebook.com/pages/850928938376556. If you use WordPress and embrace OSS, you shouldn’t be patenting software. If you don’t patent software, it’s impossible to engage Facebook in a patent lawsuit. This license shouldn’t be a problem for the vast majority of WordPress users, so I fail to see the point. The problem appears to be conceptual more than practical and personally my main concern is my business, not Matt’s coherence (which is really the only valid argument I hear around this). If you think that I’m missing something, please let me know, but Automattic already gave us their point of view when the issue was raised last year for Calypso https://wptavern.com/automattic-will-continue-to-use-react-js-in-calypso-despite-patent-clause. Matt position about this obviously didn’t changed. Maybe instead of calling it “drama”, take the valid concerns seriously? The alternative story is like this: the beta plugin was released and at first people heard it was a new editor. There were a lot of rough edges around the editor, so obviously a lot of negative feedback on that part. But the potential of a better editing experience was clear. 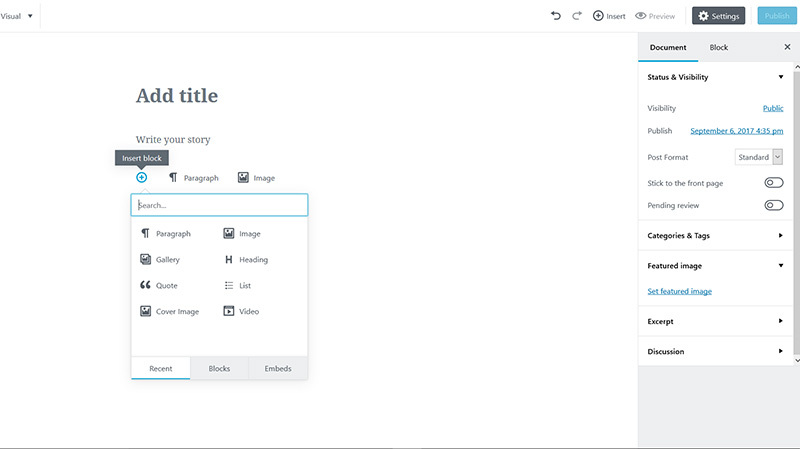 However then developers heard the Gutenberg editor would replace the whole edit screen instead of just replacing the TinyMCE editor. And the meta boxes (and everything behind that) will be removed. By the end of the year already. Everything the developers relied on to build many, many websites will be replaced. And a lot of work has to be redone. Fast. And you still don’t understand the concerns? Even now, that slowly more info is seeping through, there is still a lot of uncertainty. Will meta boxes be put in a “legacy drawer” somewhere down below on the edit screen? Will a plugin need to be activated to disable Gutenberg? What will that mean for all those custom themes and plugins? Etc etc. Sure there are enough people over reacting, as it is always online. But there are more than enough valid concerns. Calling it “drama” really shows you don’t take all the valid concerns seriously. for me there are 2 answers that can be applied to most if not all valid concerns that have been raised so far. 2) Gutenberg won’t be released until the Metaboxes issues has been addressed. Do we know how? Not yet. Am I confident a solution will be found? Yes extremely confident. Will it make everyone happy? No, not a chance, but that’s life. 2 out of the 3 plugins that put food on our tables, heavily rely on metaboxes. That said, we still see Gutenberg as positive change. We did take these concerns very seriously, reason why we are working hard to make sure all of our customers will love Gutenberg from the start just like we do. We definitely don’t want them to feel for a second that they should change platform, because the editor has changed. I’ve read WP developers/implementers write things like: RIP WordPress; We will fork it and similar hyperbole. I think that’s more irresponsible, than me calling it drama. Hi Paolo, thanks for your response. First about some people overreacting: sure, “RIP WordPress” is not very constructive. But by talking about “Gutenberg Drama”, you’re overreacting the same way. And you imply that all the valid criticism is “drama”. If there are ten people giving valid concerns, why respond to the eleventh talking about “RIP WP”? Just ignore that eleventh guy and try to address the first ten. And about the concerns: my point is that the way it has all been handled is very bad. For us as developers not following every core wordpress channel, the news of Gutenberg replacing the whole edit screen and metaboxes being removed completely came suddenly. And the timeline being talked about was end 2017! And certainly in the beginning there was no assurance that there wouldn’t be a lot of sites breaking. There were and still are a lot of conflicting messages. “We’ll figure something out”, “maybe a legacy drawer below the Gutenberg editor for metaboxes”, etc. And now since this week I learn about a plugin which will disable Gutenberg for a site (a ‘solution’ with its own problems). But nothing official. These are real concerns, not being taken seriously enough, in my opinion. We’ll have to agree to disagree here. In my opinion if someone tells you that WP 5.0 won’t be released until Gutenberg is ready, means that all concerns have been taken very seriously. When did Gutenberg add in this ability to have columns? I’m sure other types of content columns will come soon. This is great, thank you for the summary. I follow WordPress developments closely because my business runs on WordPress but I definitely feel intimidated in the various forums because I am not a developer, merely a user. It is very hard to get straight info on how this affects users, people who run businesses or personal blogs on WordPress. To me, if it makes it easier to bring my vision to fruition then I am all for it and that’s what it appears to do. I am looking forward to how you plan on integrating Gutenberg into GD. These are exciting times!